I created this chart which shows the Great Recession Started when LIBOR rates became greater than fixed swaps rates. Banks could not pay out interest as the tables were reversed! The essence of Jeffrey P. Snider's thesis is that yes, the Fed expanded its balance sheet after the Great Recession, and it did QE. But it did not fix the broken Eurodollar system and even from 2008 through 2018, there has been a chronic shortage of Eurodollars. It did not really allow full recovery. Therefore, shrinking the balance sheet now is a deflationary danger confronting the financial system in 2018 and perhaps going forward. Articles are exclusive to Talkmarkets if they are published on the site before being published elsewhere for 48 hours. Most of my articles on Talkmarkets are written to be considered "evergreen", or intended to be fresh articles even as time passes. Most subjects I have written about have proven to lend themselves to considerable lasting effect. While I have supported some economic policy, it turns out that racism was a strong motivator for some of those policies. I oppose racism in all forms and prove my commitment by rejecting anything other than the Westphalia or Westfalia view of sovereignty, which is mutual respect for all nations by all other nations. Perverse sovereignty is as bad or even worse than excesses in globalization which gives banks power over governments. Both are ultimately bad for America. 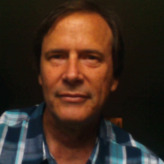 This blogger supports free trade and opposes a border tax. But government should be stronger in order to rein in big banks who abuse the people with toxic loans. Base money is Fed money, called High Powered money sometimes. It is money that is not created by banks out of thin air. That money is called broad money. Base money is backed by securities, with the exception of Eurodollars. Eurodollar money is likely to become regulated more and more. Exit of the United Kingdom from the European Union. There is a dark side to Brexit and a bright side to Brexit. The dark side has to do with racist reasons some have for leaving the Eurozone. I write about the bright side of Brexit. The bright side is that having one's own currency, which the British would preserve through Brexit, is a way to grow the economy and prevent stagnation in the economy. Broad money is created when banks make loans. However, it is not strictly fiat money because banks generally secure their loans. Fiat money is money created with no anchoring to a security. Transparent centers where derivatives are cleared, and given collateral to back them. Clearing houses are intermediaries between buyers and sellers. Counterparties take on risk in order to achieve a loan, or for other reasons. Banks often use counterparties to push risk off their balance sheets. Derivatives are securities whose price is based upon the price of underlying securities. Derivatives are contracts between prices, based on underlying price. Over the counter derivatives sometimes are blind, and do not have collateral backing. Clearing house derivatives have collateral attached, and clearing houses can be unstable through systemic risk if the counterparties they bring together are unstable. Derivatives are used for speculation and hedging. The effective demand limit, which was expressed in an equation by Dr Edward Lambert, is a limit that is reached when lack of adequate share of GDP is shared by labor. It is a leading indicator. Eurodollars are US dollars deposited in foreign financial institutions. Eurodollars are used in a Eurodollar market, a money market. Eurodollars cannot be created out of thin air and are loaned out as base money. Money created out of thin air is fiat money. Fiat money is money created without being offset by a security. So, it is not right to say that when a bank creates money for a loan on a house, that that is fiat money. The house is the security, the collateral, making that money not strictly fiat money. Fiat money is created with no security offset. Rate banks usually charge customers for swaps. This is the higher fixed rate. Sometimes swaps are required by banks for midsized and small firms qualifying for loans. Banks often take the floating LIBOR rate, which is a lower rate. In 2005, Greenspan pointed out efforts to raise short term rates should have pushed long rates up. But of course, that did not happen. The conundrum is that long rates stay low. The reason is there is massive demand for long bonds. It is simple supply and demand, not a conundrum. Greenspan's structured finance has created the derivative/collateral/new normal financial monstrosity we now have. Putting up collateral in the derivatives markets requires some collateral to take a haircut. Often times this is corporate debt, not as pristine as treasury or other sovereign debt. Haircuts can be as much as 20 percent of the value of the collateral. High Powered Money is Fed money that is held by the public. The change in the money supply of high powered money controls inflation/deflation. Reserves used to be counted as high powered money but excess reserves are not, as they don't leave the banking system. Interest on reserves and interest on excess reserves. These are terms used interchangeably. The Fed pays banks interest on reserves which are base money. Leading indicators, or leading economic indicators are warning predictors or upbeat predictors that are based on various economic measurements, such as money supply, loan demand, auto sales, retail sales, effective demand limit, capacity utilization, and other measurements. Lagging and concentric indicators are not as effective in predicting future economic activity. There is sometimes debate on which indicators are leading and which are not. London Interbank Offered Rate. 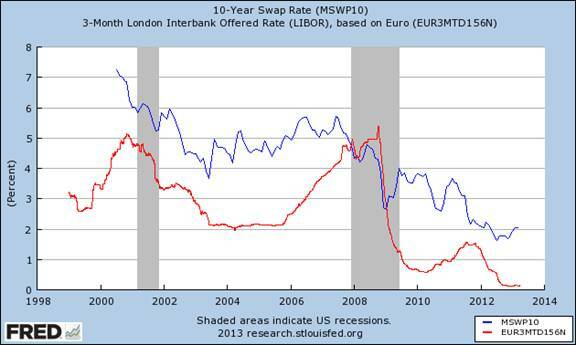 Libor is a floating rate as opposed to fixed swaps rates, which are higher unless there is a financial meltdown. Where a financial meltdown happens, the LIBOR rate can exceed the fixed rates, freezing the banks. The discipline in economics most concerned with overall GDP (gross domestic product) and large economic issues such as interest rates and Fed behavior, as opposed to microeconomics. The discipline in economics most concerned with the behavior of firms and individuals and how they react to the greater macroeconomic environment. New gold is actually debt. It can be corporate debt, or it can be treasuries. Treasuries are the highest form of debt, and are considered better collateral than real, physical gold in the swaps, or derivatives markets. Abnormally slow growth and low long bond yields, once thought to be abnormal, are now normal after the 2007-2008 credit crisis and the Great Recession of 2008-2012. 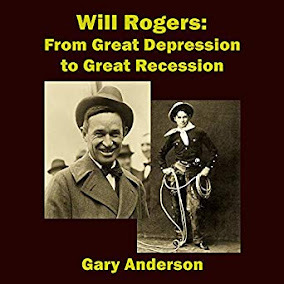 In economics, the tendency of the Fed and banks to curtail lending as the economy enters a recession is procyclical. If banks were more countercyclical, recessions could be less harsh on the people as they would have access to more credit during tough times. Repo is short for "repurchase agreement". It is a promise to buy back a security at an agreed upon price. If a transaction does not go through, and the holder of bonds decides to keep the collateral bonds instead of completing the repo transactions, it is known as a repo fail. The Square Mile is the original City of London, or Londinium, home of world finance and Roman ruins. It is protected by two mythical Roman statues, Gog and Magog. The existence of these statues very well could have Biblical significance. Sterilization is the act of the Fed tightening in one aspect of policy in order to loosen the money supply in another aspect of policy. Structured finance, often using swaps, pushes risk off banks and onto counterparties. It often puts risk onto clearing houses as well. Exchanging one form of loan for another. Banks most often, but not always, take the lower LIBOR rate which is a floating rate, in exchange for their customers who want inflation protection and take the higher fixed rate. This usually works into the banks favor and when it doesn't the banks freeze up and Great Recessions with credit crises begin. Efforts by investors to push up yields on long bonds after the Fed tapers the buying of long bonds. In 2013 and in 2017 these tantrums proved short lived. Prosperity is often determined by the velocity of money, or how much money turns over within the economy within a certain period of time. This was an agreement between sovereign European nations to treat each other with respect. It is the perfect sovereignty, as opposed to the perverted sovereignty of Adolph Hitler or even Donald Trump. The excesses of globalization, ie. with banks having too much power over the nations, is another failure of interaction of the nations that destroys perfect sovereignty. For those who have questions, contact me at bgamall4 at yahoo dot com.